Non-toxic - biodegradable - non-abrasive - non-flammable - colourless - unscented The safe alternative to hazardous chemicals and solvents. Crystal Simple Green Industrial Cleaner & Degreaser is formulated for critical cleaning applications that demand a fragrance-free solution. 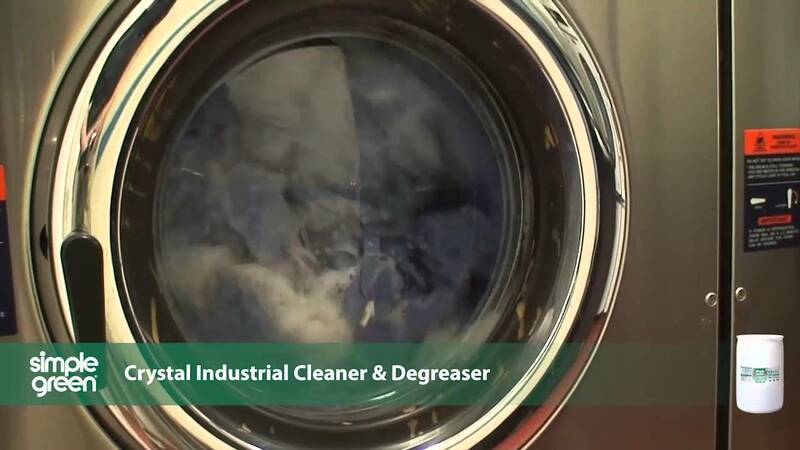 It is a highly effective, concentrated, all-purpose degreaser and cleaner. Crystal contains a blend of highly effective surfactants activated by cold or warm water and because Crystal Simple Green Industrial Cleaner & Degreaser is fragrance-free, colour-free and has high rinsibility, it is an ideal and effective degreaser/cleaner for use in many industries. Custom-diluted for specialized cleaning tasks. It removes dirt, oil, grease, fat from all washable surfaces and ideal for a broad range of applications including dip tanks.